News: Private Pilot Award Created to honour Donn Hubble's Memory. Langley Flying School. “The idea behind this award is that we wanted something good to come out of Donn’s tragic loss,” said Paul Knapp. 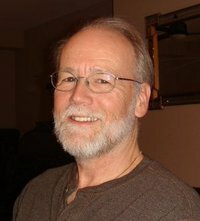 “Donn was revered as a precise pilot, so the award will honour him by recognizing Private Pilot students who demonstrate precision flying on their Transport Canada Flight Tests.” Donn Hubble died in a flying accident on February 9th when another aircraft made contact with his during a practice formation flight. 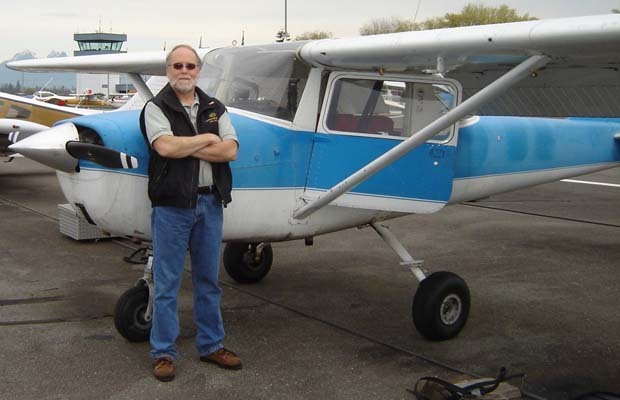 The accident also killed friend and fellow pilot, Patrick Lobsinger who was a passenger in Donn’s airplane. The other airplane involved in the accident, flown by Paul Knapp, managed to land safely in a field. The Donn Hubble Memorial Award was announced by Paul Knapp and Donn’s daughter, Kathy Hubble, during Donn’s memorial service which was held in the Canadian Museum of Flight at Langley Airport on March 12th. The award will provide a $700 award, paid by an anonymous donor, to Langley Flying School students who achieve perfect scores on selective flight test exercises that are especially noted for requiring precision pilot skills: steep turns, slow flight, slipping, and instrument flying (full panel). Donn Hubble was a graduate of Langley Flying School. According to Dave Parry, Langley Flying School’s Chief Flying Instructor, Donn underwent pilot training during 1998 and 1999, and achieved exceptionally high performance on both his Private Pilot qualifying flight test, and his written examination. “He was well in the top 10% of Private Pilot candidates, based on Transport Canada’s performance standards,” says Parry. Donn performed as a formation flight leader for a number of years prior to his death. Donn Humble piloting his Cessna 150 FVXY.